A beautifully veneered table acts as a real statement piece in any home or business setting. 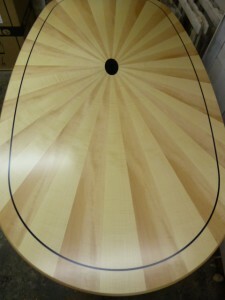 Perfect for grand dining rooms and distinguished boardrooms, veneered tables can be produced from a range of timbers. 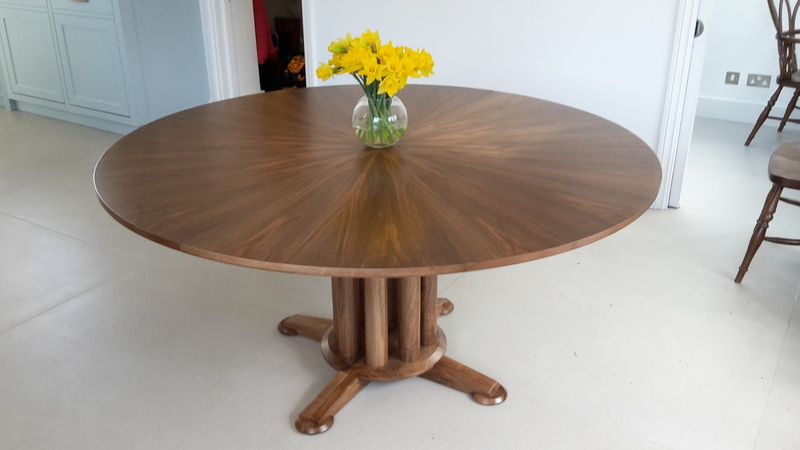 There is an extensive choice available, including American walnut burr and olive ash burr which are very popular for tables due to their intriguing and highly unique natural patterning. 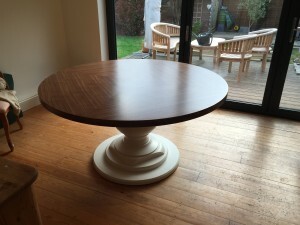 A quarter cut American oak veneered dining table crafted by Read Veneers. Marquetry and inlays add to the charm and uniqueness of a veneered table. Anything from fine patterns and inlay lines to crests and logos is possible. Imagine your boardroom table designed with your company’s logo or organisation’s coat of arms or crest set into the grain of the wood – what an impression you will make! Real wood veneers are perfect for tables, and if you’re having something designed for your home or work environment, why not think about going the whole hog and matching a suite of furniture? A striking veneered boardroom table. Whether you’ve been commissioned to design a veneered table, or a dining or boardroom suite, or are looking to have one fully made, we can help. We offer expert advice on timber selection for your veneer, and provide a flexible service to suit both commercial and private requirements. If you are designing a full interior around veneers then we will match any furniture, including a veneered table, using our expertise so that you can enjoy a fully flowing, consistent look in your home or business premises. Why not get in touch today to talk to us about your individual veneered table requirements?